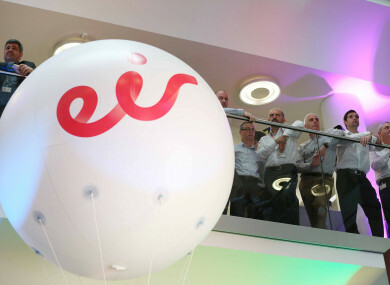 EIR HAS ANNOUNCED the creation of 750 new jobs – six months after announcing it would cut the exact same number of jobs as part of a voluntary redundancy programme. These jobs will be located in Cork, Limerick and Sligo, with 350 of these jobs launching at its new facility at Rathedmond in Sligo town. In April, Eir announced that 750 employees would be leaving as part of voluntary redundancies. ““This has been launched in an effort to deliver costs savings and create a leaner, more agile organisation,” it said. Last month, it said it would be bringing 950 customer service jobs that had been outsourced back in-house. In a statement today, the company said the new roles will mainly be in customer services and as part of its “overall programme to bring all customer-facing functions back in-house”. It’s understood that no customer service jobs would have been part of the previous job cuts earlier this year as this was previously outsourced. Minister of State at the department of communications Sean Canney said the announcement is a “recognition of the immense talent that exists in every part of Ireland”. Fine Gael TD Tony McLoughlin said this jobs news, alongside other recent announcements, meant that Sligo has “turned a corner” in regards to job creation. Earlier this year, French billionaire Xavier Niel led a consortium that purchased a majority stake in Eir for €650 million. This coincided with the appointment of Carolan Lennon as the new chief executive officer of the company. Lennon said today that Eir has been impressed with the quality of job applications received so far. Email “Eir announces 750 new jobs for Sligo, Limerick and Cork”. Feedback on “Eir announces 750 new jobs for Sligo, Limerick and Cork”.